Maldives Government's Stinging Rebuttal To India: "Without Genuine Regard To Facts"
Maldives Government has refused to act on India's advice to implement the Supreme Court ruling in February that quashed convictions against nine opposition leaders. NEW DELHI: Maldives has delivered a stinging rejoinder to India that had asked it to address concerns expressed by the international community, declaring that public statements made "without genuine regard to facts and ground realities" were not helpful. President Abdulla Yameen's government, which lifted the state of Emergency this week, also rejected the demand to implement the Supreme Court verdict that had quashed convictions against nine opposition leaders and ordered release of the political leaders. President Yameen had responded to the 1 February court ruling by imposing a state of Emergency and sending soldiers to storm the top court and arrest the judges. The Emergency was lifted 45 days later but only after government was seen to have got a much-diminished Supreme Court to nullify the controversial judgment. India welcomed the move to lift Emergency but listed the steps that the tiny island nation, which has a population of 4.2 lakhs, should take. In response today, Maldives Foreign Ministry said it had "no legal mandate to implement the Supreme Court Order" as parts of the verdict had been nullified or suspended by the top court. This is the second time in a month that Maldives has snubbed India. It had earlier called India questioning the extension of Emergency as "a clear distortion of facts". The Indian Ocean island chain also reiterated that India, which has been receiving appeals for intervention from Maldives opposition leaders, to steer clear. Exiled former president Mohamed Nasheed had sought India's military intervention soon after Emergency was imposed but New Delhi was reluctant to go that far. "The recent political developments is an internal political matter and therefore should remain as a matter to be resolved internally," Friday's statement by Maldives Foreign Ministry said. It is a message that has been delivered repeatedly over the last few weeks from Maldives as well as China, which is seen to be close to President Yameen's regime and aggressively expand its influence in the Indian Ocean region. 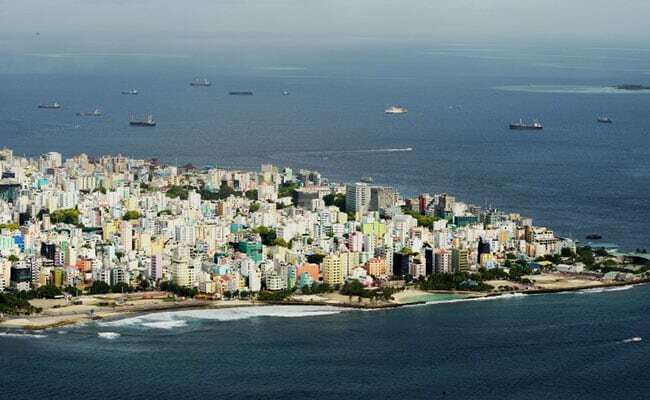 Maldives, located near key shipping lanes, has assumed greater importance to China after Beijing began building political and economic ties as part of its so-called "String of Pearls" strategy to build a network of ports in the Indian Ocean region. This is something that has made India uneasy. Last year, Maldives had quietly signed a free trade pact with China that New Delhi declared was against its stated policy of "India First". Maldives envoy to India Ahmed Mohamed had acknowledged the strain in ties between India and his country last week, conceding that there was an "environment of mistrust" and blamed "lack of engagement" for the current state of affairs. It was in this context that many in New Delhi had seen Maldives decision to decline an invitation to join a multilateral naval exercise hosted by India earlier this month.